Product information "Die drei ??? 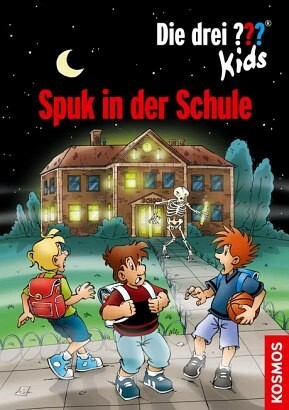 Kids, Spuk in der Schule"
Finally holidays! But Justus, Peter and Bob must complete a huge pile of homework! In order to solve the problems, the three must enter an old, long-abandoned school building and, on top of that, the building seems to be haunted. What's up with the skeleton that wanders the gloomy hallways like a ghost? "The Three ?? Kids" gather all their courage and get to the bottom of the case.